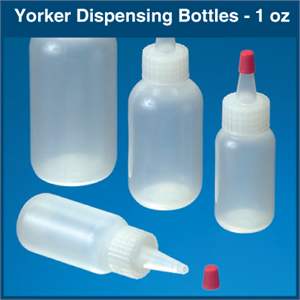 These beakers are manufactured with a unique Tri-Sided design and specially notched corners for easy pouring. The beakers are made from durable, translucent polypropylene so they’re resistant to most acids and bases. 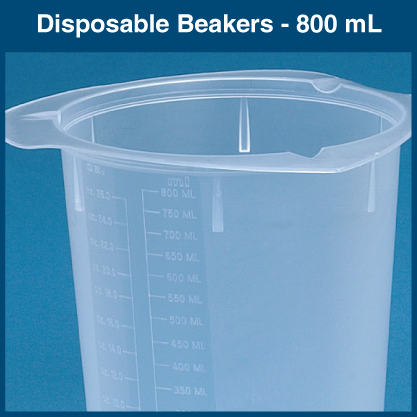 Graduations, in both English (ounces) and Metric (milliliters), are formed into the beaker so they won’t deteriorate, allowing fluid levels to be easily seen. 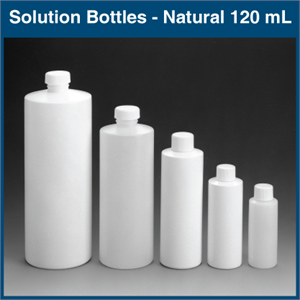 Their flat bottoms reduce the possibility of tipping, minimize spillage and allow for simple stacking and storage. 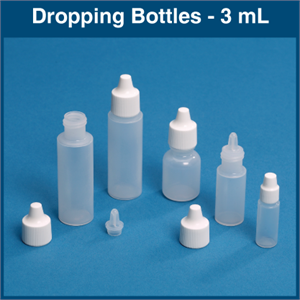 Dropping Bottles - Natural Low Density Polyethlyene - with Snap-In dropper and polypropylene screw cap - designed to dispense one drop at a time.